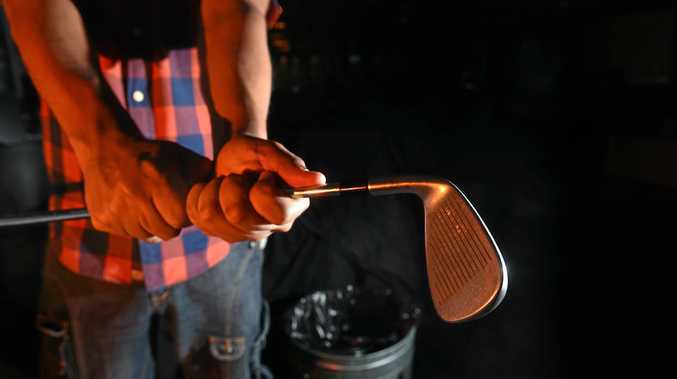 POLICE say it was lucky no-one was more seriously injured in a savage street brawl of youths on the Alstonville Plateau where a 17-year-old was struck in the head with a golf club. Richmond Local Area Command crime manager Cameron Lindsay said police would allege the affray on Rifle Range Rd, Wollongbar, about 2am on Saturday followed an earlier fight at Alstonville. A 16-year-old boy was allegedly armed with a golf club and struck a 17-year-old boy in the head. It's alleged two other boys were armed with a machete and baseball bat. Detective Chief Inspector Lindsay said the injured youth had since been transferred to the Gold Coast University Hospital, where he is in a stable condition. He said it was alleged the melee was pre-arranged on social media by two groups of youths and was the result of a "schoolyard tiff". Det Chief Insp Lindsay encouraged parents to closely supervise their children's online activity and labelled Saturday's fight as a "concerning trend" across the region. "It's not just a policing issue, it's a parenting issue," he said. "This could have been prevented by parental control of social media and knowing where their kids were at 2am." Two teenagers, aged 16 and 18, were arrested and charged by police on Sunday afternoon. A 16-year-old Wollongbar boy has been granted conditional bail to appear in Ballina Children's Court next month. An 18-year-old was initially refused bail but it was granted yesterday at Lismore Local Court. He will reappear at Ballina Local Court next month. Det Chief Insp Lindsay said it was likely more arrests would be made as investigations continued. Police urged any young people who were involved in the incident to contact Lismore Police Station on 66260599 or Crime Stoppers on 1800333000.